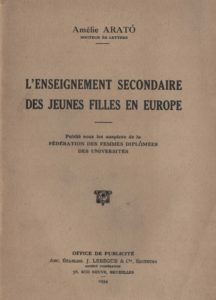 Amélie Arató’s (1934) study, L’Enseignement secondaries des jeunes filles en Europe was the outcome of two years research into girls’ secondary education in Europe and America commissioned by the International Federation of University Women as part of their agenda to internationalise learning and knowledge and to promote university women’s careers. Arató’s study added to the small number of comparative studies of girls’ secondary education published from the late 1890s onwards as a small but growing international feminist movement shared information on other school systems in order to challenge national stereotypes regarding women’s more fragile minds or constitutions. But women are largely missing from the story of education as discipline. Women and their education have often formed the comparative ground through which nations have positioned themselves historically from the eighteenth century onwards. 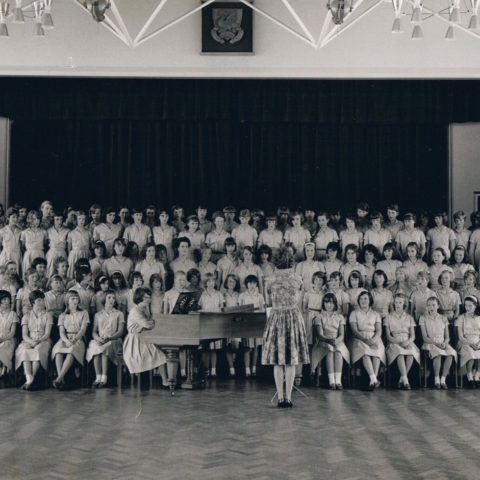 While women are largely missing from comparative education’ s historiography, like Arató they have also used comparative accounts of education to pursue their ideals for women and girls and more generally. The project Comparing Women-Women Comparing: Women and Comparative Education, 1800-1980 has has a double objective: first, to map a research agenda that opens a space to incorporate women into comparative education’s historiography through both technologies of power and technologies of desire; and second, to consider the potential of ‘gender trouble’ for developing alternative ways of imagining new historical journeys of educational change involving comparative education. Goodman, Joyce (2002) A Historiography of Founding Fathers? Sarah Austin (1793-1867) and English Comparative Education, History of Education 31, no. 5 (2002): 425-35. More here. Goodman, Joyce, ‘The Measure to Rank the Nations in Terms of Wealth and Power?’ Transnationalism and the Circulation of the ‘Idea’ of Women’s Education.